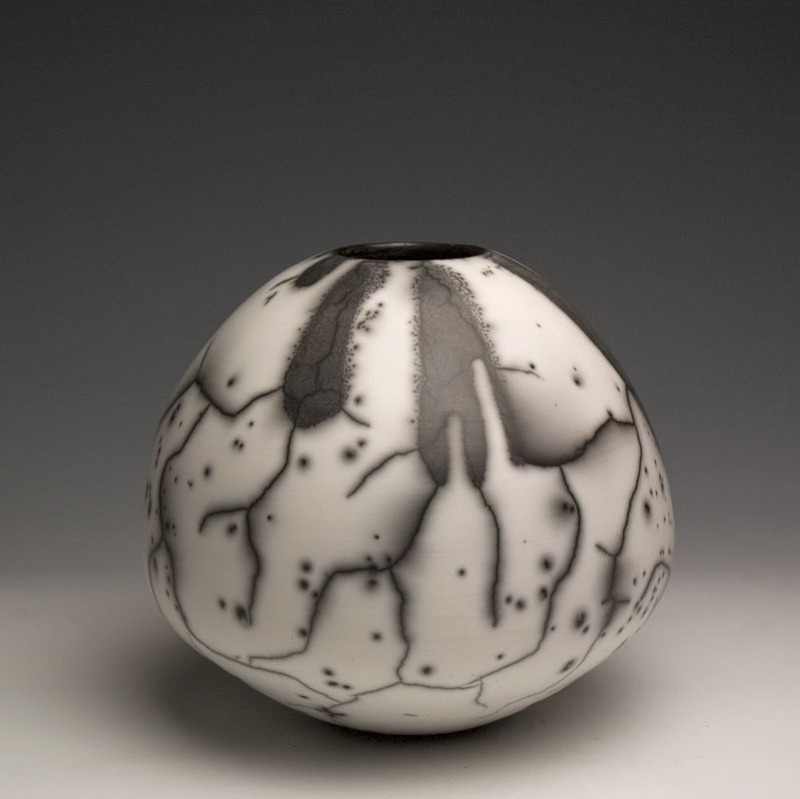 After an initial firing to 1800° f the forms are coated with a clay slip then decorated with a resist glaze. 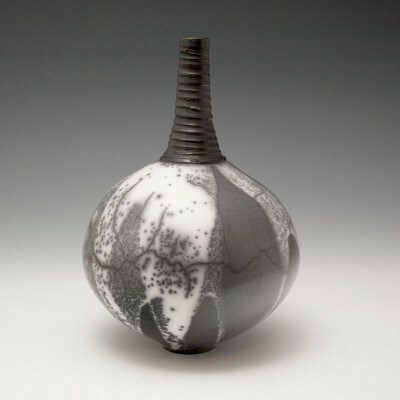 They are then fired to red heat, removed from the kiln while hot, allowed to cool slightly and placed in a post firing reduction atmosphere created by pine chips & newspaper. 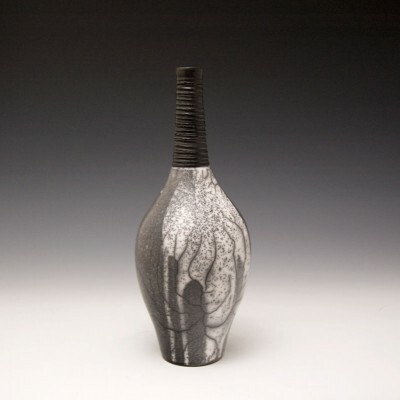 The slip/glaze is then removed to reveal the “naked” bare clay with smoke enhanced surface. Each form is individually hand thrown on a potter’s wheel. 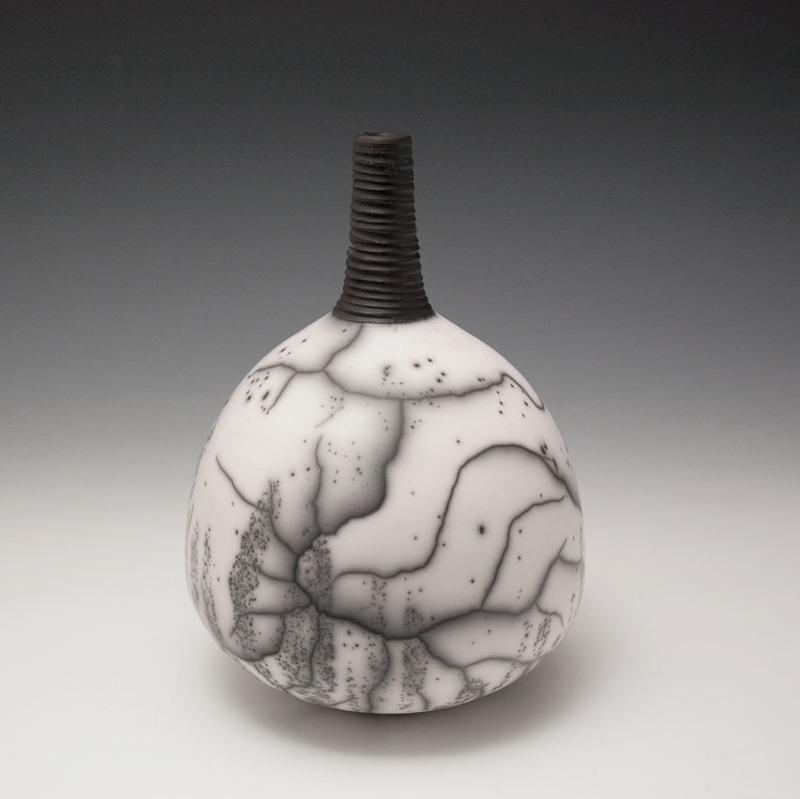 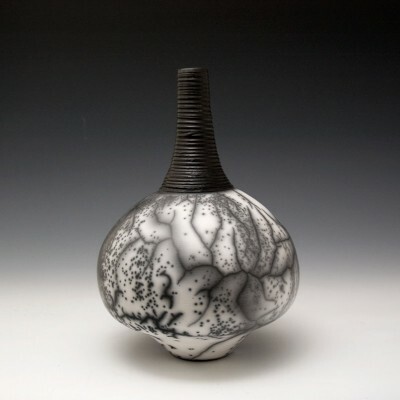 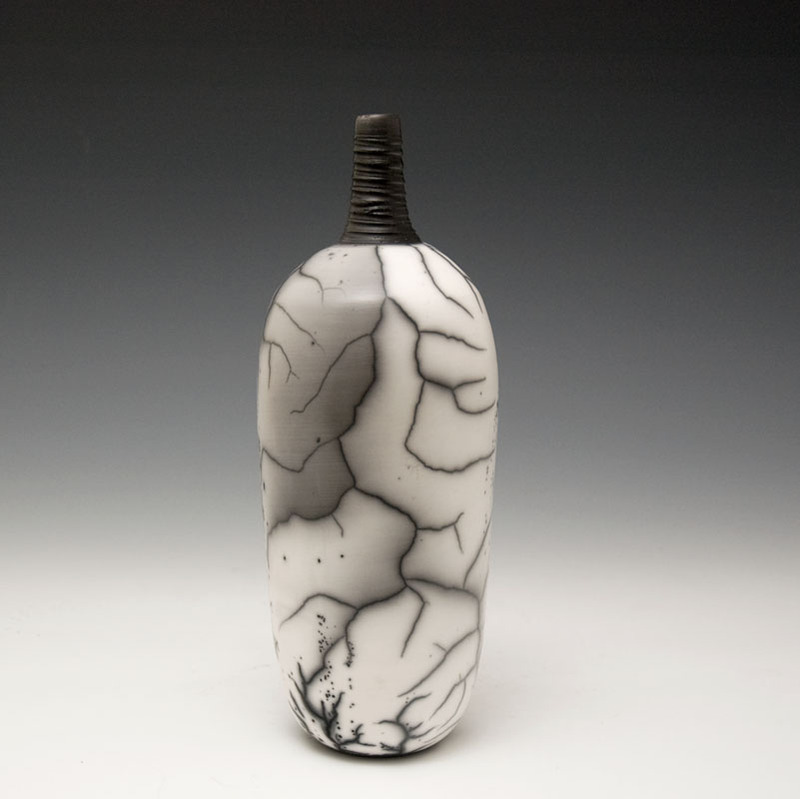 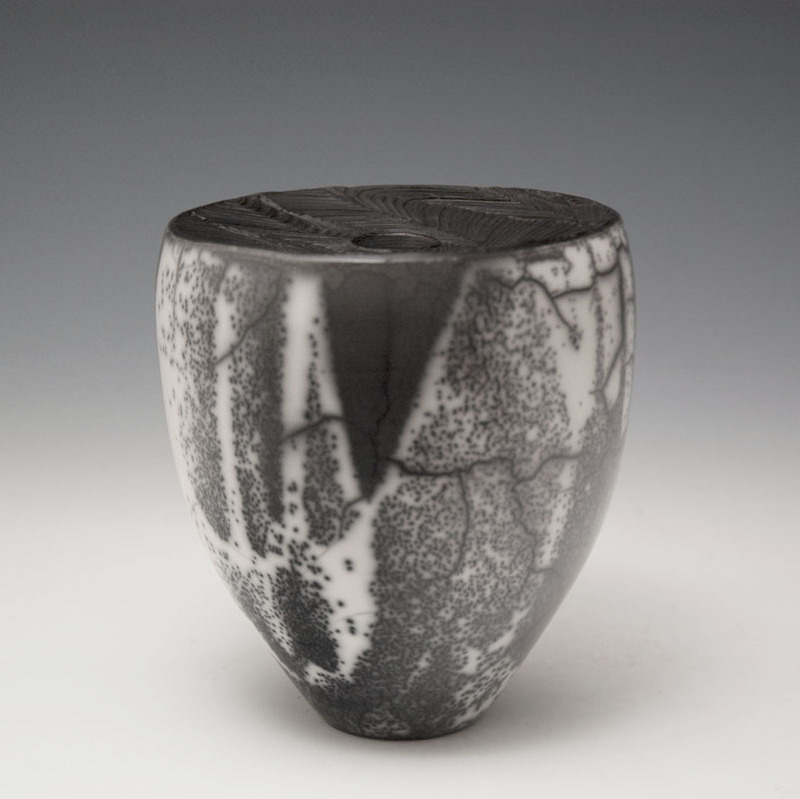 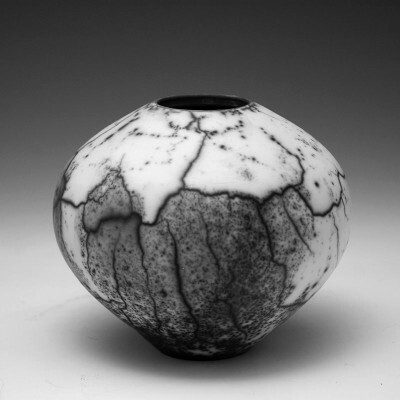 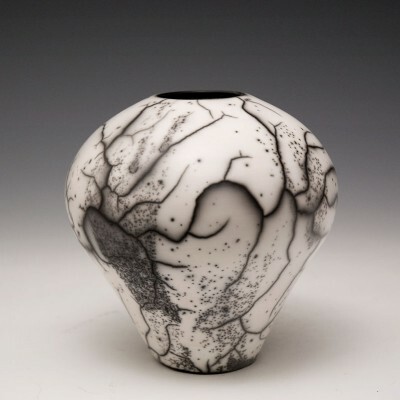 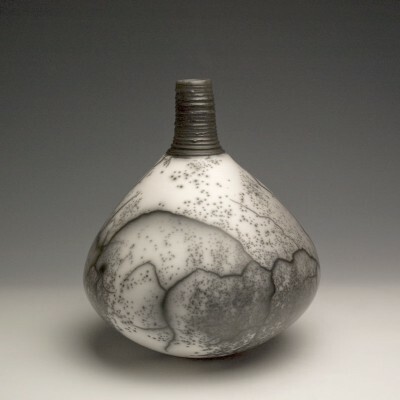 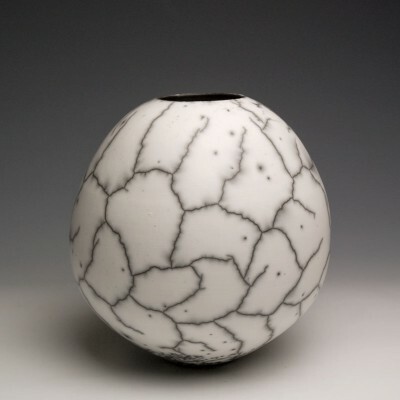 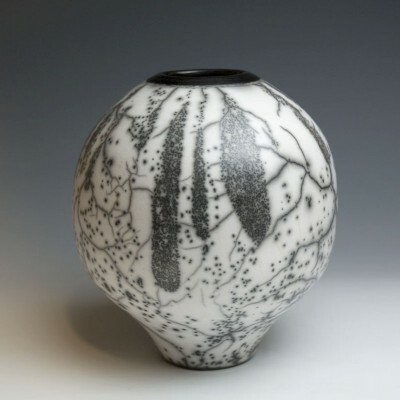 The firing techniques have been chosen to create a unique surface that enhances the simple form on each piece.